Preston Bailey’s Intermediate Floral Design, Part 2 of the Floral Design series, builds upon a florist’s knowledge of manipulation of flowers to create the breathtaking and detailed designs that Preston Bailey is most famous for when using a Table Top approach in designing an event. This course breaks down the many layers of design including table size, shape, materials, and flowers incorporated into table top designs. Students will learn the process for creating and building each design layer incorporated into a Preston Bailey Table and how each layer works together to create a cohesive design using a combination of color choices, flowers, materials, and table shapes. Students learn how to utilize a design formula to properly plan, design, price, and execute a floral design to make a profit. Students will ultimately learn the financial side of floral design to confirm their formulas and pricing structures for floral designs for the table. As a floral designer your style is what sets you apart from your competition. Preston Bailey’s Signature Style is recognized all over the world. This program will teach you how to implement Preston Bailey’s Designs for your clients and consistently attract new clients. 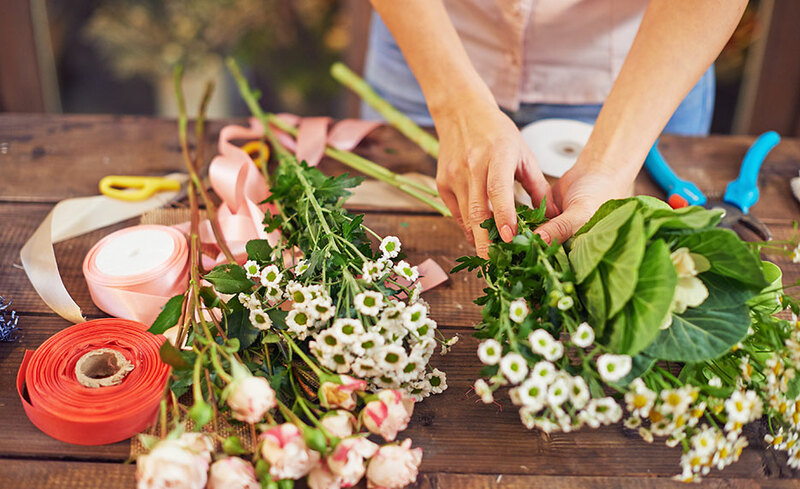 Take your business to the next level in floral design by implementing the Preston concepts taught in this course on both the design and the pricing of your projects. As artists, many floral designers struggle with the financial side of the business, such as managing their time and cost in order to increase profitability. This course reveals methods for pricing designs that will help you become a successful floral designer with a thriving business. In this program, you will also learn how to identify, approach, and set up an internship in your local area. You will receive notices of internship opportunities and industry conferences and events. Customized internships are set for each graduate that applies. There is a $95 application fee, and you are required to submit a cover letter and resume with each application. You will then participate in an interview with Lovegevity Wedding Planning Institute (LWPI) prior to participating in an interview with a potential internship host. Job placement assistance is also available once the internship is completed and positive feedback from the host is received. When you register you receive six (6) months to complete this program. Microsoft Word (not included in enrollment). Skype is recommended but not required. Windows Media Player or a similar program. You should have already completed Preston Bailey’s Fundamentals of Floral Design 1 before enrolling in this course. Preston Bailey has been considered one of the world's premier event designers and tastemakers. With 30-plus years of experience with his namesake company Preston Bailey Designs, he is best known for his ability to completely transform raw, ordinary spaces, into opulent, theatrical environments, translating his clients’ fantasies into awe-inspiring realities. His one-of-kind events have attracted clients as Donald Trump, Oprah Winfrey, Uma Thurman, Joan Rivers, Donna Karan, Liza Minnelli, Matt Lauer, Catherine Zeta-Jones, Ivanka Trump and others. An author, he has written four bestselling books entitled Design for Entertaining, Fantasy Weddings, Inspirations, and his newest book, Celebrations, which was released by Rizzoli in October 2009. Headquartered in New York City, Preston Bailey Designs maintains international offices in Indonesia and the Middle East. Angie Zimmerman is the CEO and founder of Angie Zimmerman Designs, a full service floral design firm specializing in weddings and special events. Angie has over 20 years of experience in the floral industry operating floral shops in multiple locations from San Ramon to El Dorado Hills, CA. Angie obtained her Bachelor of Science Degree in Organizational Behavior from the University of San Francisco in 1989. Currently, she operates her floral design company out of El Dorado Hills, CA and is the instructor and author of Preston Bailey’s Fundamentals of Floral Design 1 course offered by The Wedding Planning Institute and the lead instructor for Preston Bailey’s Intermediate Floral Design 2. All of our programs are self-paced and open enrollment, so you can start them when you want and finish them at your own pace. When you register you receive six (6) months to complete this program. If you have questions that are not answered on our website, please feel free to contact us via LIVE chat (click the button above). If you are visiting us during non-business hours, please feel free to send us a question using the “Contact Us” form to the right. You may also call us at 1-855-520-6806. We will answer your questions promptly.